When you think of 24-hour restaurants in the Plateau with over 30 different varieties of poutine, your mind probably goes straight to La Banquise. Well, it's time to change that thought process and replace Banquise with Chez Claudette, a definite contender for the best poutine spot in the borough. To be fair, Chez Claudette is only open 24 hours from Thursday to Saturday, though the poutinerie definitely rivals La Banquise in terms of delectable poutine creations, like the Pogo poutine. 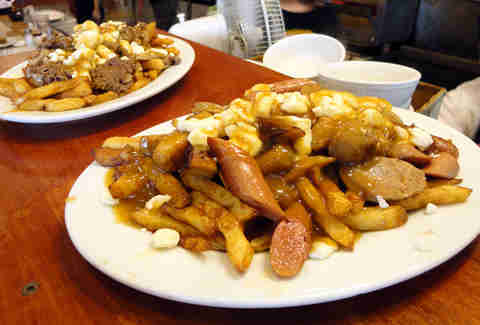 Yes, Chez Claudette has a Pogo/corn dog poutine, reason enough to head there at 4am on any Friday. Get past the fact that this poutine spot is technically a dep (admittedly kind of sketchy and weird) and you'll be rewarded with the unadulterated flavour that comes with one of Montreal's most well-made poutines. Fifteen different kinds of poutine grace the Dépanneur Nouveau Forum menu, created by chefs who learned how to make the classic dish from one of the pros, namely an old Québécoise woman. You now have an actual reason to go to Crescent St, because those who've tried Dépanneur Nouveau Forum's poutine herald it as the best in the city. Decked with beach-inspired kitschy decor, Miami Deli doesn't have the best atmosphere, and maybe not the best poutine either. Its saving grace, however, is the fact that's it's open 24 hours, giving anyone access to a big plate of the good stuff whenever they like. Oh, and the Americana poutine, a hot mess (in the best way) of meat and onions piled high over a bed of fries, is actually pretty great. Referred to as Double A, this little poutine spot in Saint-Henri goes light on the glitz and glam but heavy on flavour, as anyone who's familiar with the resto will tell you. Using a gravy recipe that takes a whole seven hours to create, AA serves a piping-hot poutine that is heavy on the cheese in the best way. Quite popular among those already in the know on AA's poutine greatness, the small poutine joint is still pretty easy to miss, so make sure not to unwittingly pass AA while walking on Notre-Dame. Not known for being the most happening borough in Montreal, Verdun sometimes gets an overly bad rep for being boring. 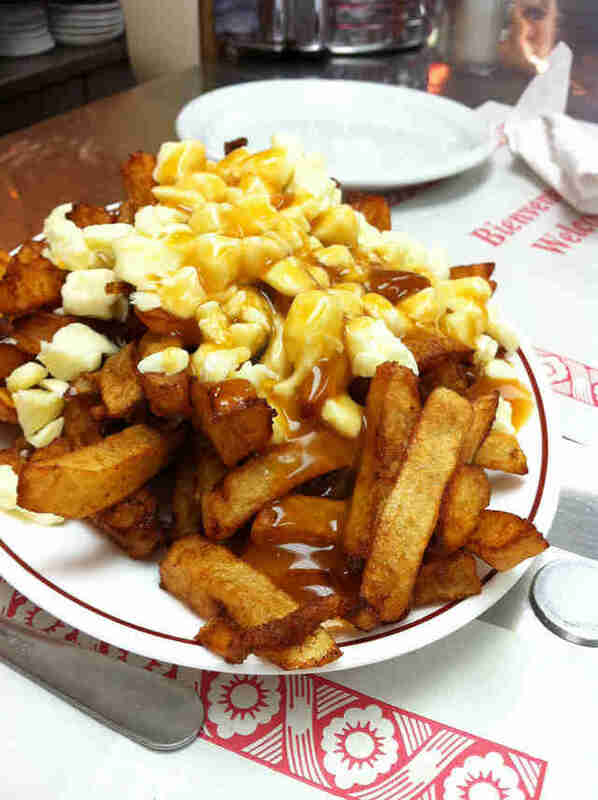 Yes, Verdun literally only has one bar in the entire neighborhood, but it's also home to Casse-Croûte Normand, a classic poutine joint that has been serving quality plates of fries, curds, and gravy since 1964. 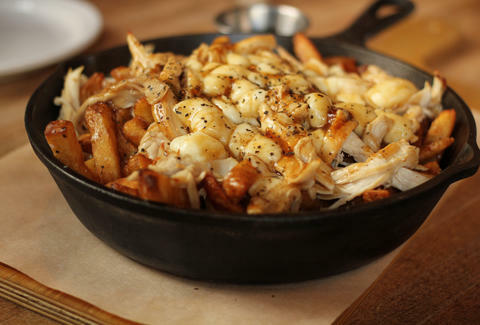 Made with hand-cut fries and gravy using real beef stock, Casse-Croûte Normand's poutine then comes together with authentic cheese curds, making for one of the best poutines in Montreal. Head to Verdun and see for yourself. Getting a good ol' fashion greasy poutine at 4am in Rosemont can be a bit of a struggle, so thank the stars that Jojo Pizzeria has always been around to serve those with a poutine craving in the area. With 18 different types of poutine on the menu, some with the classic poutine brown gravy and others with an Italian meat sauce, Jojo has more to offer your mouth than just pizza. Sure, the venue is a little rundown, but that's the beauty of a hole-in-the-wall poutine joint. DP is far from glamorous and most people write it off as a spot only drunk people on St. Denis go to get late-night slices of pizza, and they're right. What most people fail to remember, or even try, is Double Pizza's poutine. Using crispy Costco-like French fries topped with more-than-generous amounts of cheese and gravy, Double Pizza's poutine isn't complex or refined, but it definitely tastes amazing. 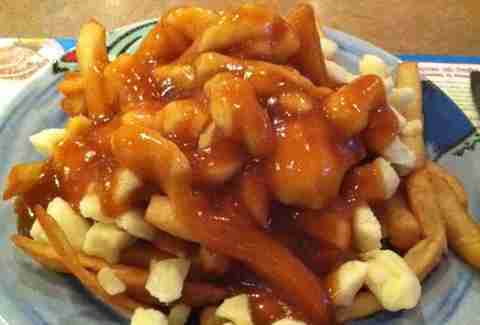 That's more than you can say for some of the fancier poutine joints who miss the mark on what poutine is supposed to be: simple, greasy, and delicious. Since Shawarmaz came in second place during Montreal's Poutine Week 2015, it may be a stretch to say it is "under the radar," but not enough people seem to know about the beautiful fusion of Québécoise and Lebanese cuisine to be had at the Downtown eatery. 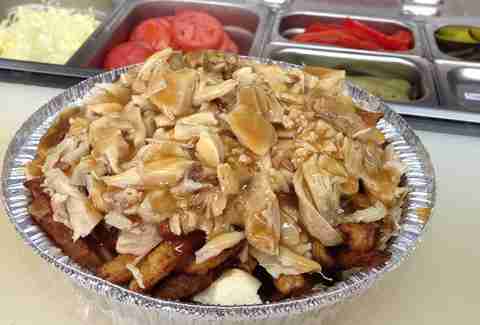 Not quite your standard poutine, Shawarmaz's "Poutine Taouk" features its homemade garlic potatoes topped with a generous helping of Shish Taouk chicken (or beef) and is doused with poutine sauce. Poutine purists may scoff at the use of anything other than French fries in a poutine, but they don't know what they're missing. Whenever you go to Paul Patates, you need to order two things. One is the resto's home-brewed spruce beer. The second, as you could guess, is the poutine. Paul Patates has been serving this one-two punch of flavour since 1958 (just not in the same location) and people keep on coming back for a reason. With thick-cut fries and big chunks of cheese curds, the only light downside to Paul Patates' poutine is the price, being a tad bit more expensive than you would expect. 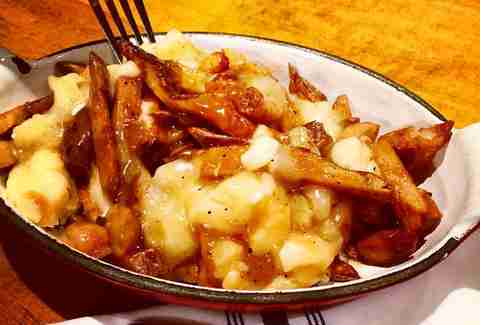 Don't be turned away though, because the poutine is well worth the slightly higher bill. Hochelaga-Maisonneuve, otherwise referred to as HoMa, is slowly but surely becoming a trendier neighborhood, and no quality borough is complete without a hip poutine joint. Poutine Centrale is just that. Rocking an industrial-chic decor, Poutine Centrale lacks the old-school cred of a classic casse-croute, though it still turns out some delectable poutines. Blanched and freshly made fries are the showstopper of the poutine show here, as are some of the more creative styles of poutine you can order, including Butter Chicken and General Tso-style (named General Mao) varieties.